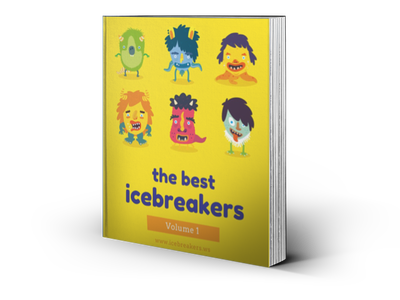 The Priest of the Parish - Icebreakers, Icebreaker Ideas, Games, Activities! The Priest of the Parish is a call and response game, popular in youth groups across the world. The game warms up player’s vocal cords, legs, and memory muscles. It also goes by other names, including The Prince of Paris. This version of the game can be played with very large groups, even over one hundred (arranged into teams). It can also be played individually with groups of ten or so. In both games the players must remember the script. One of the goals is to speak in unison with your team-members, fostering a sense of team spirit. Arrange the players into teams. There should be an equal number of teams. Five to ten players is a good team size. For example, six teams of five would work for thirty players, and for one hundred players pick ten teams of ten. Have all players stand in their teams in two rows a few meters apart, facing each other, so that each team faces another team. Give each team a number or name. “The priest of the parish has lost his thinking cap. Some say this, and some say that, but I say it was Team [X].” (where [X] is one of the team names). The newly team accused now has the same conversation with the organizer, and so on. If a team speaks out of unison, fails to stand up, or if a team stands up when they should not have, that team is moves to one end of their row, and the other teams in their row move up to fill the gap. The goal of the game is to be as far from the “loser’s end" of the rows as possible — though don’t take this goal too seriously. The game is really about getting everyone speaking up, rushing and getting excited, making mistakes, and having a few laughs. Many variations can change the dynamic of this game in interesting ways. If playing with individuals, you don’t need to gives numbers, but can just refer to everyone by name. This makes it a nice introductions game, as everyone must remember each other’s names. “I [player name], with an honorable flick to the front, do hereby accuse [another team or player]”. The player would additional salute as they say “an honorable flick to the front”. Failing to recite the accusation exactly prompted raucous cries of “Objection!” from the other players. Another variation, when playing in teams, would be to have the names or numbers assigned to the positions in the row, not the teams themselves. For instance, the third team in the row would start the game as team 3, but if they make a mistake and moved down the row they would become team 1, and two other teams would move up and their numbers would also change. The new challenge here is just to remember what your number is, and everyone will find great amusement watching the odd player jump up when it isn’t their turn because they forgot their number. Or when almost everyone in a team jumps up, but leaves one inattentive player sitting!